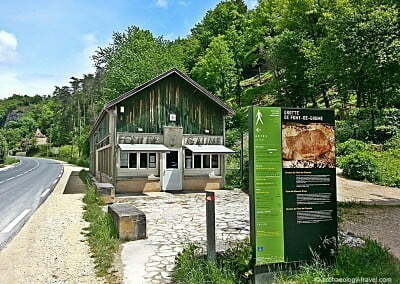 The only cave art site in France with polychrome paintings still open to the public. 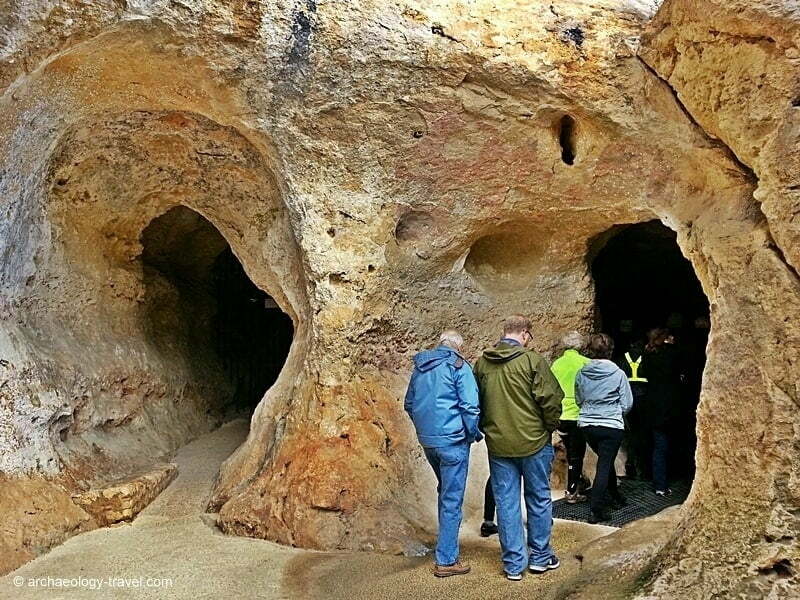 The discovery of paintings in this cave played an important role in the acceptance of the idea of Ice Age art. The quality and brilliance of the paintings in this cave, which was discovered on 12 September in 1901, lead experts to call this cave “one of the six giants” of Palaeolithic art. It is in fact the last of the caves with polychrome paintings that is still open to the public. In a narrow gallery of 120 metres there are over 200 animal depictions, both engraved and painted. Sadly, only a small number of these are seen by visitors today, on restricted guided tours. 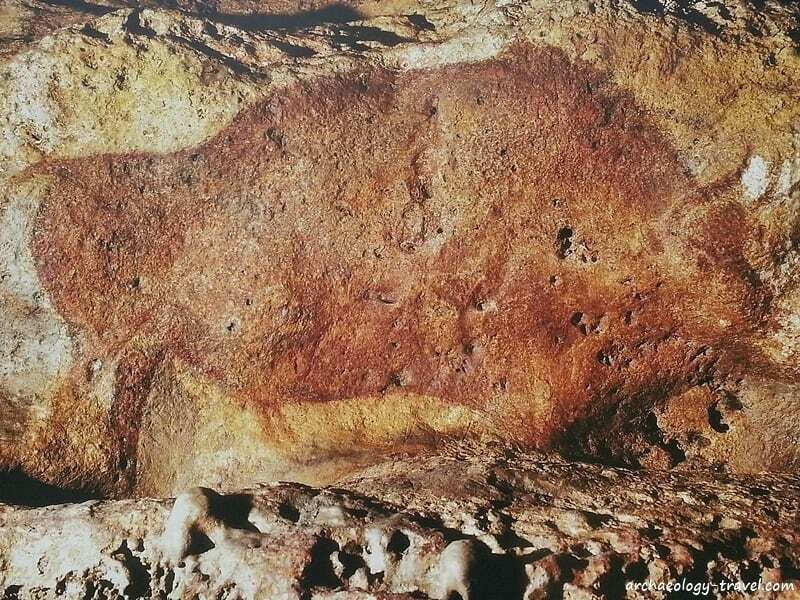 The visual highlight must be a frieze of 5 bison, in which the artist(s) used the natural shape of the rock face to suggest the shape of the bisons’ bodies. One of the better preserved polychrome bison in Font de Gaume. One of the finest depictions of European Palaeolithic art can be seen in Font de Gaume. This is the painting of a male reindeer bending forward, licking the forehead of a smaller, female reindeer. The tongue is engraved, and can only be seen with oblique light. The guide will point this out, often with great, and appropriate, drama. A drawing of the two facing reindeer. 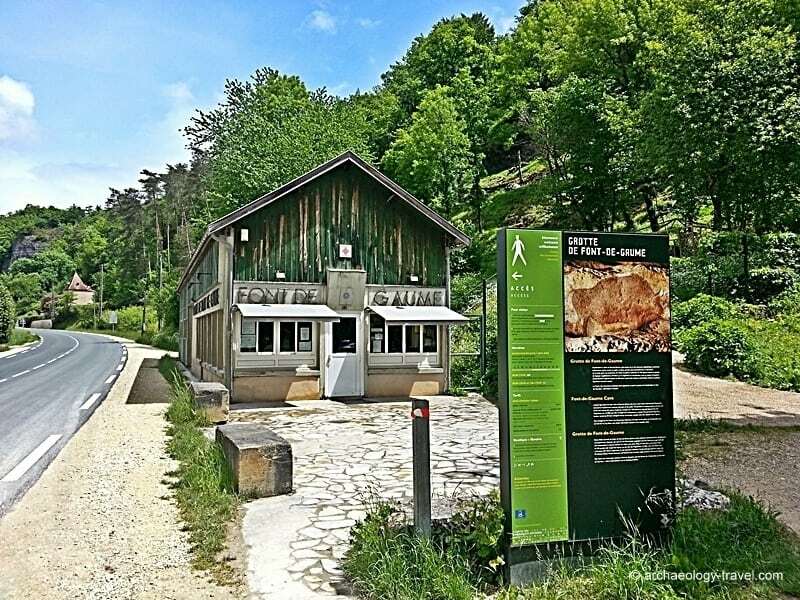 In 1979, 147 Palaeolithic archaeological sites and 25 decorated caves in the Vézère Valley were added as a group to the UNESCO list of World heritage sites. Given the spectacular nature of these paintings, it is one of the more popular decorated caves in the Vézère Valley. This is not a replica – you get to see the real deal. Sadly, it is no longer possible to buy tickets in advance. 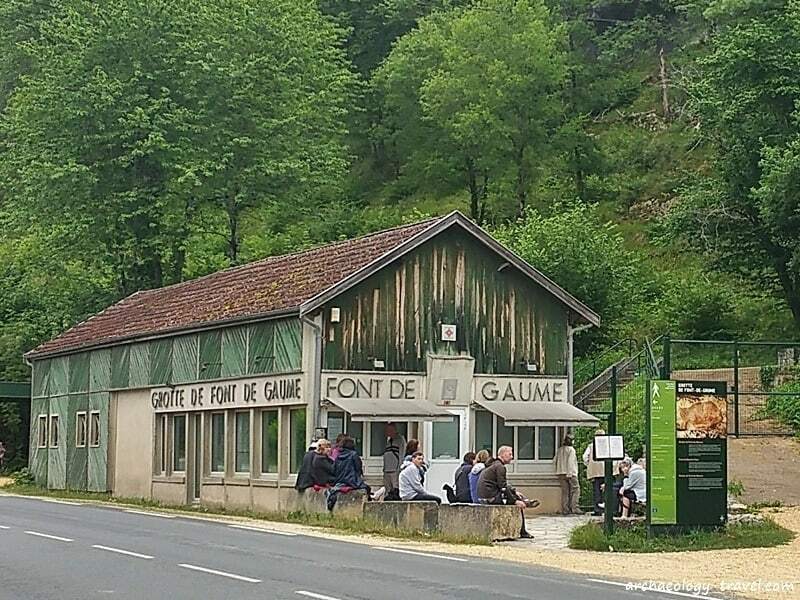 definitive and authoritative guide to buying tickets for Font de Gaume (and Les Combarelles). 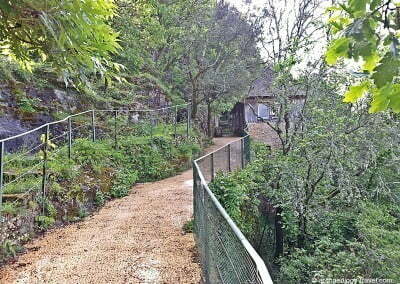 The path up to the cave. As of the beginning of 2018, it is no lnger possible to book tickets in advance Read More, demand is high. 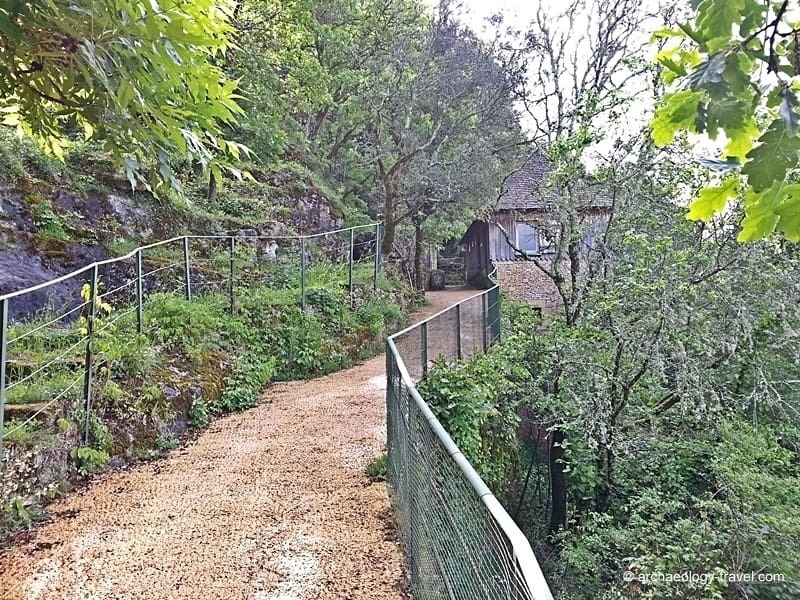 Access to the cave is by guided tour only. Tours are conducted in French or English. You are not allowed to take bags or bulky jackets into the cave – there is a lock up facility at the entrance of the cave where your items will be safe for the duration of your visit. The ticket office also sells souvenirs and has a good selection of books on prehistory and cave art. 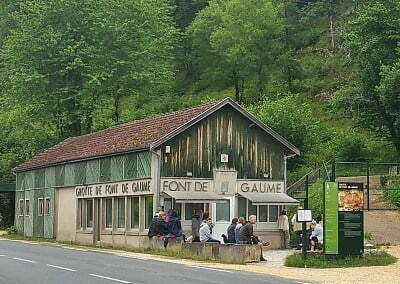 There are many sites and museums in and around Les Eyzies, see the map and details on the Aquitaine page. For those of you who want to read in preparation for your visit to Font de Gaume, I thoroughly recommend this book. 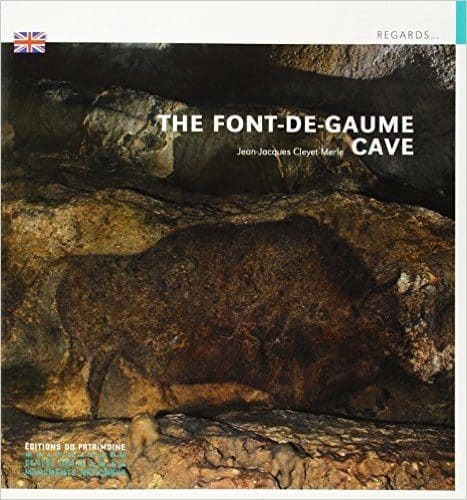 At 64 pages, it has excellent photographs and diagrams, with good descriptions of the imagery, as well as a good background to the history of research at the cave. Available in English and French on Amazon.com and Amazon.co.uk. Every effort is made to ensure the information provided here is up-to-date. Details such as opening hours and entrance fees can change with little notice. Take the information provided here as a guide, and confirm these by visiting the official website listed (where possible). And by all means, please do make contact if the information requires updating.